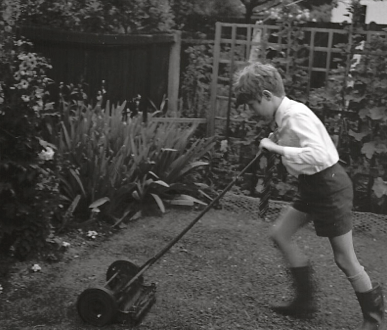 Inspired by his family of gardeners and farmers Jerry has been gardening since the age of four. Initially trained with the Royal Horticultural Society, and in management with Brunel University, some years later he emerged from the Royal Botanic Gardens, Kew, the world’s foremost botanic garden, qualified in curation, horticultural estate management, soft landscape design, horticultural and botanical sciences. In 1982 Kew awarded Jerry a scholarship to study the flora of Western Australia. Photographing plants never photographed before and discovering Darwinia polychroma, a new and critically endangered species, changed his life. Captivated by the people, plants and places, he decided to emigrate. “The greatest impact was realising that bushland I visited had been pretty much unspoiled by industry – something that no European can ever experience in their native lands”. Post-graduate work included management of both public and private sector horticultural enterprises in Britain and Australia: production nurseries, London’s largest public tree service, heritage inner city parks and gardens, running a major garden centre, and helping to establish Sydney’s Mt Annan Botanic Garden, a Bicentenary project. Jerry has been the horticultural consultant for Queensland Conservation’s first ‘National Food policy’ and ‘Grey Water policy’, he drafted the proposed management of bushland weeds policy for Lord Howe Island, and also consulted for several Sydney city garden renovation projects, including Darling Park, Victoria Park, the Conservatorium of Music, Macquarie Square, the NSW Police Memorial, Central Station, St Mary’s Cathedral, First Fleet Park, East Circular Quay and the Sydney International Airport. For over eleven years, Jerry managed the botanical estate at the Royal Botanic Gardens, Sydney, (Sydney Gardens) Australia’s oldest scientific organisation and the arboretum at Government House, and the Sydney Domain. His greatest gardening challenge was grooming the Sydney Gardens (1999 – 2000) in readiness for hosting some of the Olympic Games. Janet Holmes à Court commended the gardens for looking the best ever in thirty years she had known them. Managing the ‘Rare and Threatened Plants Garden’ from concept to completion (1996 – 1998) was a personal high point in Jerry’s years at the Sydney Gardens. “It identifies which specific human activities are responsible for species losses and how ordinary people can help avert damage to our society and our quality of life“. Jerry will always treasure preparing and planting the world’s first Wollemi Pine at the launch. During 2001, Jerry was seconded to be the horticultural consultant for the inaugural ‘ABC Gardening Australia Live’ expo at Homebush, NSW. This public/ private project was the first successful gardening expo ever held in Sydney city with exhibits from commercial gardening shows, including ‘Better Homes and Gardens‘ (Channel 7) and ‘Backyard Blitz‘ (Channel 9), international exhibitors from Fiji and the UK, and the largest show garden of native plants from the Northern Territory ever seen in Australia. Over 42,000 people attended – a Sydney record. Jerry is always busy sharing his knowledge of gardening through his public Facebook Page, this website, and by writing for the ‘Gardening Australia’ and ‘The Organic Gardener’ magazines. He was Horticultural Editor of ‘The Organic Gardener‘ magazine 2005 – 13, and a consultant and writer for the illustrated dictionary of garden plants, ‘Flora’. He has been a presenter on our only national television gardening show, ‘Gardening Australia’ since 2000. He has been a regular guest on talk back radio gardening shows such as ABC 2BL 702 (since 1995) and ABC New England North West (since 2005). Jerry presented a weekly radio show ‘Talking Gardening‘ with Fairfax’s 4BC Radio (Brisbane, Rockhampton, Mackay and Cairns). The programme, which had run for over thirty years, achieved its peak audiences during the period Jerry was presenting from 2014-15. Jerry is in regular demand as a public speaker and horticultural judge to a multitude of gardening societies from Cairns to Melbourne. In 2006 Jerry presented a series of lectures on pioneering sustainability for the Queensland Museum and Bank Australia. In 2002 Jerry represented Australia at the South Pacific Herbs Forum (Vanuatu) and presented a paper at the Australian Institute of Horticulture’s National Conference, and a paper for the Australian Institute of Landscape Architects National Conference. Most gardeners will remember when, in November 2003, Jerry moved from Sydney to Brisbane to create ‘Bellis’, a model, affordable, sustainable house and garden, a project which became a government experiment: having ‘talked the talk’ he intended to ‘walk the walk’. His garden first opened to the public through Open Gardens Australia in 2007. Bellis has since become the most popular OGA destination in Queensland, attracting around 3,000 people over two days. In 2012-13 Jerry discovered two new, undescribed species of parasitoid wasp (one of which parasites parasitoid wasps and solitary bees) at Bellis. Since 2003, 511 species of animal have been documented as living at or visiting Bellis, with several new records being added to the Atlas of Living Australia. In 2011, Jerry was awarded an HMAA Television Laurel Award for his segment filmed at Bellis on ‘How to Create Your Own Plant Cultivar’ (Technical Gardening). In 2009, Bellis won the prestigious National Save Water Award in the Built Environment category, and in 2017 Bellis was a finalist in the Banksia Sustainability Awards (Food for Thought). In 2015, Jerry started botanical gardening classes at the Yen Tu Botanical Garden for Medicinal Plants, near Hanoi, and provided consultations for market gardens near Hue and Hanoi (Vietnam) and a private orchid collection in Bali (Indonesia, 2016). Also in 2015, Jerry began escorting gardening tours with The Adventure Traveller, touring Singapore, the Singapore Garden Festival, Vietnam, Sri Lanka and New Zealand. In 2018, Jerry will lead a tour of Norway. Jerry is a ‘horticultural schizophrenic’ equally at home sipping tea in a high Victorian conservatory or manuring an allotment. As a Guerrilla Nursery Gardener he grows native and productive trees for people to plant in barren public open spaces. “Anyone who loves English plants, landscapes and weather, should be utterly besotted with their Australian counterparts”. You are the only person who I can think of who might be able to help me. I am after seeds of “ipomoea batatas marguerite”. I have seen lots of pictures on the net with Americans using the lovely lime green foliage added to hanging baskets. If you have a moment, could you please tell me where I can get some seeds? This cultivar is also one of the most popular ground covers used to vegetate median strips in Indonesia. Sweetpotato cultivars rarely, if ever, set seed as they have been domesticated by asexual propagation – cuttings – for so long. The same applies to many crops, from banana to hibiscus spinach (Abelmoschus esculentus). ‘Marguerite’ is available within Australia from city farms and also from gardeners – I nabbed cuttings from a roundabout in Cairns and introduced it to the Royal Botanic Gardens, Sydney. Here in Brisbane I crop it in my street verge. Most books tell you lots about cultivation but very little is mentioned about the Ph requirements for fruits and vegetables – our soil here is acidic circa 4.5 – 5.0 – while composting, use of cow and sheep manure and worm juice and castings improves the soil condition it does little to alter the Ph – do you know of any book that can guide us furhter or just take copious notes over time? Your pH is similar to my soil back in 2003. After three years of liming each autumn, using a 50:50 mix of lime & dolomite, the soil reached pH 6.5. It has since remained at this reading. I can only guess that this is due to the widespread use of pelletised poultry manure, which is alkaline. In 2011 I had the soil lab tested to see how 7 years of organics had affected the soil. It has all the phosphorous it needs. So I ceased applying poultry manure, except for corn, banana and citrus. I pH test annually at multiple sites. I’ll continue lab testing every 3 years (it’s a bit too expensive to do annually). If you do visit, after 1pm things ease a little, everyone flocks here early in the day, and this spoils the experience a bit. Thanks for the prompt reply – I’m overwhelmed you could take the time to respond or I was lucky. We have been experimenting with a handful each of lime, gypsum and dolomite per m2 for things I believe like less acidic soil – peas, beans, bananas, citrus – 4.5PH gives us room to experiment with. The micro garden is established at the back of a large shed facing – lots of concrete slab to absorb heat and radiate it back at night to keep the winter growth acceptable and the shed even though it is open will reduce strong winds from the garden. It does weird things to my mulberry tree though – which has some sections with leaves from the initial growth after planting last December – then lost some of those leaves in some sections of the tree to make way for new leaves and fruit within days of the leave fall – weird – maybe disoriented if it was raised in a much colder climate. We are totally off grid using solar panels and a listeroid generator for backup only – this engine running mainly on vegetable oil and biodiesel – water for the gardens is all rain water. I bought as many tanks as I could afford at the time – and the open shed has a large roof area 200M2 – the other shed yields our drinking water and water for flowers and some natives – finger limes, grevilleas etc during drier times. I’ll take your advice about the open day and make it later in the day – probably on the Sunday I get overwhelmed by people sometimes as I am a bit of a recluse these days. Thanks again for the advice – I’ll keep searching for a vegie guide so I can work out plants that like neutral PH and which ones like acidic soils – presumably tomatoes, blueberries and the like. I have retianed about 5ha of red forest oak – and the black cockatoos make it home and or feeding – we are using the decomposed needles on the blueberries. John, buy them on line from Green Harvest. Jerry – I value your opinion – can you look at this article and give me your take ? The Courier Mail published my opinion on the risks of biodispersal, my term for the spread of GM genes (etc) through the web of life. Every technological advance has a downside, and the impacts are usually experienced before being addressed. Nuclear waste, for example. The Office of the Gene Regulator is not about human, animal or environmental safety, and neither is the Australian Pesticides and Veterinary Medicines Authority. Both exist to create regulatory frameworks that permit ongoing use of GM and chemical technology. The GM industry has never considered the irreversible impacts of releasing their products as testing in a controlled environment is designed to facilitate the release of those modified genes. It’s only luck that GM Klebsiella bacteria were not released. Lab tests said it was ‘safe’. Since Labor, National and Liberal politicians appear united that Australians have no right to accurate labelling ( so they can decide if they want a GM-free diet) only campaigning and changing public opinion will alter the situation. Britain has had a series of GM related health scares and these changed public opinion. So their politicians followed public opinion. It’s probable that Australia will need a similar crisis of faith before anything changes. Late las year or early in 2012 you had an article in Gardening Australia on plants that suppress predators. A sort of companion planting of herbs and annuals by seasons. I raised the correct mix for Spring and have beeb very successful with it. I should like to do it for the other three seasons but I cannot find the original article. Would you be able to give me the reference, or the list please. Thank you for your contributions in Gardening Australia, I find them so very interesting. My full plant list is published on this website. The article was published in Gardening Australia magazine May 2012. I raised the correct mix for Spring and have been very successful with it. I should like to do it for the other three seasons but I cannot find the original article. I read one of your stories on the Gardening Australia website that mentioned “a variety of corn “Manning Pride – often produces three large cobs per plant.” “. Do you know where I could purchase some seeds of this variety of corn? It is not sold. It is a member benefit. Join the Bega Valley Seed Savers and they may have some spare. I reside in Victoria and whilst I live in a slightly idfferent climate to you I do enjoy you section of the show (Gardening Australia). Thank you for all you tips more recently I was facinated in your “clean up” and why we should be leaving timber and logs liying around as I always thought that i may entice termites. I will set up an area in my native portion of my yard. I wonder if you could help me. My Son Paul and his wife Nicole reside in the northern suburbs of Brisbane. Paul has a growing interest in gardening. Do you know of a book that I can purchase for Paul for Christmas. I am hoping the book would provide the basics in Gardining for your region. thanks again for all the good work that you do. The ABC Shop sells a range of good gardening books. Their latest mini book on inspirational gardens sells for about $10-12. Annette McFarlane has a book for warm climate gardening, well worth having. If you can’t find what you need with the ABC shop, contact me again. I was googling information on hibiscus to make tea and which specie(s) used for tea infusion. I found that sabdariffa is the one most commonly used. However, before doing this I bought a Hibiscus insularis for the Sydney Botanical Gardens and was wondering if one day if I do get flowers from this, is it possible to make tea from Hibiscus insularis. PS: I am not a gardener by profession, but have a love of trees and plants. Yes. All species of Hibiscus. We live on Sydney’s North Shore and for the first time in a life time of gardening we have a large banana “hand” with about 300 bananas on it. We got a blue/reflective bag for it and have been using that for months. Each individual banana is now about 3/4 size you get in the shops but still green. We continue to fertilise if well and water it. What do we do now to get the bananas ripe? Do we pick some off the top and ripen them in the house, or continue to let the lot mature? When the bananas stop swelling you can cut off hands and ripen them individually indoors. Putting them in a paper bag with a ripe avocado or a couple of tomatoes and closing the bag really helps kick start ripening. If you wait for them to ripen naturally, the entire bunch will ripen simultaneously. I used to get good crops from Dwarf Cavendish when I lived in Sydney Botanic gardens. Always plant something you can cope with being bulldozed by developers. If you’re planting an arboretum, sow or plant mother stock and keep them within harvesting size. I look forward ot growing on the seedling in my garden. Thank you very much. I’m so glad it arrived; hope it survived. Sorry it took so long, the drought here held their growth back until February. I attended your Bellis open garden last year, and really enjoyed it (although we did come early and it was very busy, so didn’t get to meet you or ask any of our many questions), and all your contributions to Gardening Australia and Organic Gardener. My dream is to retro-fit our home and garden to be sustainable in a similar fashion, but it will be a slow process, we are chipping away, particularly improving the ‘pure sand’ soil we began with. We live on the Sunshine Coast and are strongly considering the addition of chooks to our garden for all the usual benefits (eggs, manure, bug control etc), but was interested to notice you do not keep chooks as part of the Bellis system, and am keen to know your thoughts on the pros and cons of chooks for organic gardens. It was surprisingly hectic, something I didn’t expect. Sustainable living isn’t about duplication, therefore every household needn’t keep chickens, or goats or guinea pigs. I don’t buy eggs, my neighbours keep enough hens for a surplus – enough eggs for two more households. In return, they get barter from my household. Chickens are wholly beneficial, my neighbours keep them within their orchard and there’s a positive ecological balance between both elements. Good luck with your project – ready the main sail! I attended the seminar tonight in Richmond that you spoke at. I wanted to thank you for attending and sharing with us your thought provoking information. Even after all the reading I have been doing on climate change and sustainability etc you had some of the most relevant points I have heard. I hope to be able to attend another seminar where you might have more time to go into your thoughts more thoroughly, more people like yourself are needed in this world. Well an extra 15 mins would have been great, I will have to settle for your website! Hope you enjoy your next few days here. Love watching you on Gardening Australia. Was just wondering when the open garden at Bellis was this year? Thanks jerry…hope to see you ther. Would they be best in our local red soil or in our raised beds which are a mix of mulch, manure and compost? The name of the trees which make up Blue Gum forest in the Grose Valley in NSW is’ Eucalyptus deanei’. Henry Deane was a passionate natural historian and he had a keen interest in the study of Eucalyptus trees, co-authoring several papers with JH Maiden. Maiden named the trees in recognition of Deane’s work on the subject. So the trees are not blue gums, nor mountain ashes! Sorry it has taken me a while to get back to you on this. And thanks for your company over the Blue Mts weekend. I enjoy following your site here and often catch your talk at our local annual event in the garden. I have a massive Poinciana tree in my back yard. The tree has been here since my grandparents first owned the house in the 1970s and has been the constant feature four generations of our family have enjoyed. We have enjoyed the coolness it provides in summer, the air it cleanses, the beauty of its flowers in summer, the joy of birds nesting in it, the tree houses we have built in it, and the privacy it has created. It must be ten mt tall without exaggeration. However I am concerned. I have noticed a crack in its bark that goes from the base of the trunk to a place so high up I can not even see where it ends. Living in Redcliffe I am most certain it is not a frost crack. I am not sure if it is dying, but it most certainly appears healthy enough. I guess it is getting quite old. I did wonder if the branch the crack travels up to might be too heavy perhaps but my Brother feels for sure the tree is on its way out and has decided it needs to go for safety reasons which I agree with…..but would hate to do if it were not needed. Do you have any information you can share with me? Your tree isn’t very old, nor is it very large for the species. You can get rid of it, roots and all, in a couple of days, but it’ll take a generation to grow something of equivalent amenity value. Rather than being rash, and basing your decision on superficial information, engage a professional arborist to conduct a thorough safety inspection. I have been searching everywhere for the plant: Coleus Forskohlii , also known as Plectranthus barbatus or Indian Coleus. I want to grow it for its mediciinal properties. Do you know of anywhere in australia where I could buy this plant or its seeds? Any suggestions would be greatly appreciated. I work at a university research glasshouse and I recently received a year cardamom plant for our teaching collection. After reading your journey of obtaining true Elettaria cardamomum, I am wary of the identity mine and think it maybe the infamous Alpinia nutans. Can you tell me a few good identifying characteristics between the two (other than flower position, since ours is a long ways away from flowering)? Is it true that true cardamom leaves don’t really have a scent and the undersides of the leaves are fuzzy? Thanks for your help! The sort of information you seek is found on internet descriptions of individual taxa. You don’t really need me to find on line floras. You could also call the National Herbarium of NSW, or the Qld Herbarium to acquire formal scientific descriptions of these species. Elettaria cardamomum foliage has a similar scent to Alpinia nutans, their leaves are interchangeable in cookery, this is not the case with their seeds/ pods. Hi Anne, as far as I’m aware it is not sold commercially. When are the new footpath guidelines for Brisbane coming out (as per http://www.domain.com.au/news/tv-presenter-jerry-colebywilliams-plants-footpath-initiative-to-grow-property-prices-20151104-gkqvk4/)? I am very interested in this too! We’ve just moved to a new house that has a tiny 50cm wide by 7m long nature strip between our front fence and footpath and was hoping to plant out with plants instead of grass! I’ve contacted the council via their Facebook page and will follow up with a phone call next week! I love your footpath plantings Jerry, wonderful use of space! I´m Oscar Visquert from Spain. It´s nice to meet you, all my respect. I would like to get kath aloo seeds (if its possible to germinate succesfully) or maybe an small tuber from this plant. I try to find this plant and for the moment I cannot get this kath aloo that is located in Assam, India. This Dioscorea Alata is an amazing plants for its healing properties. My wife has got menopause and this plant is beneficial in this case. If you have any idea, sugestion about how to get the seeds or tuber to plant here in Canary Islands, I would feel so grateful. Please if my request is not convenient, I´m very sorry. Here I send you a link about this plant and its healing properties and also edible. Cultivated varieties of Dioscorea are not propagated by seed. Only by tuber. You need to determine how Spanish and EU quarantine law affects the international importation of live plants from Australia and you must provide me with written evidence from the authorities you have permission before I can consider your request. I suggest you look for a local source.